OTTAWA -- With the next round of NAFTA talks approaching, and uncertainty about where the U.S. stands from one day to the next, Canada’s International Trade Minister said there’s no clear “plan B” if the trilateral deal gets torn up. 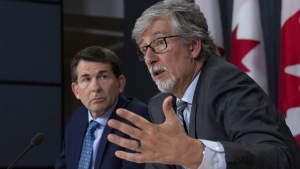 “It's not about a plan B, it's about (having) every eventuality mapped out,” Francois-Philippe Champagne told CTV Question Period host Evan Solomon. He said Canadians should be assured that there is “the best team” of negotiators working on the potential revamp of the trade agreement. The next round of NAFTA talks are scheduled to start January 23 in Montreal. “We’re looking at every eventuality that may happen… we’re working under all scenarios,” Champagne said, echoing Foreign Affairs Minister Chrystia Freeland’s comments from earlier in the week, after senior Canadian officials signaled that there is an increasing chance U.S. President Donald Trump is preparing to pull the U.S. out of the North American Free Trade Agreement by using a clause within the deal which sets in motion a six-month withdrawal notice. Following this a slate of Canadian ministers offered public reassurance that Canada would be ready for whatever comes from the U.S. administration as the talks near the sixth round. “What you saw this week was renewed vigour in defending Canadian interests… It’s good to be firm, from time to time,” Champagne said. Champagne said he was encouraged by this. The minister, in an interview airing Sunday, also downplayed reports that the progressive chapters Canada is pushing on things like gender, the economy, and labour are getting in the way of sealing the deal. “That’s not the case at all. The real issues we’re facing now are some of the same issues that were present at the time [of NAFTA’s creation],” Champagne said, citing procurement and sunset clauses as examples. Over the last year there has been a concerted approach from Canada to meet with U.S. counterparts at various levels of government to discuss the benefits of staying in the trilateral trade deal. Conservative Leader Andrew Scheer, deputy leader Lisa Raitt and a contingent of trade critics will be in Washington, D.C., next week to help Canada's NAFTA lobbying efforts. Their trip will focus on both providing their U.S. counterparts with information, as well as listening to them to determine what is needed to get the deal to go through. Former U.S. ambassador to Canada Bruce Heyman said that there is “broad support” among U.S. governors, in congress, and in the business community, but he’s concerned that NAFTA is being used as a “political punching bag,” to score points with disaffected American voters who have been told NAFTA is partly the reason for their economic and job woes. “I think NAFTA is being used as a scapegoat by this administration and the populist attitude that they have, and my fear is, that they’re breaking down all means of global trade and they’re becoming much more protectionist and isolationist. I fear what that will do to markets, to jobs, and long-term economic security of not only our nation, the U.S., but the global economy,” Heyman said on CTV’s Question Period. Meanwhile, UNIFOR President Jerry Dias, who has long called for the end of the deal is it stands, said Canada shouldn’t be “preoccupied” with trying to get a deal just for the sake of it. “Nobody in Canada, or in Mexico, frankly, is looking to throw a victory party for Donald Trump,” Dias said. 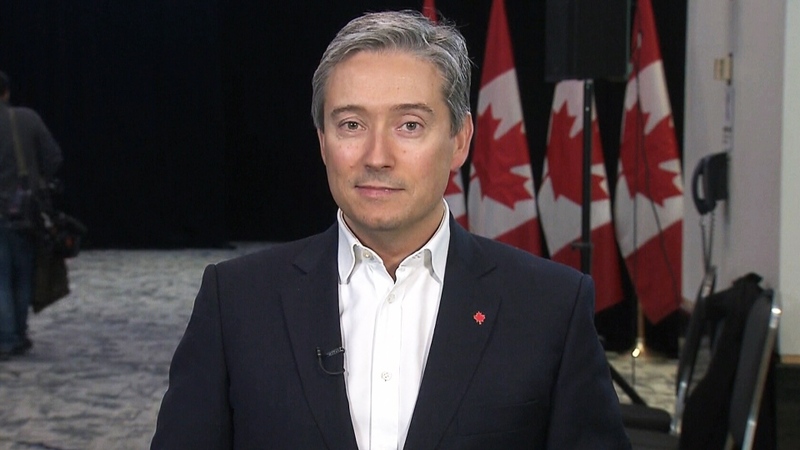 International Trade Minister François-Philippe Champagne on CTV's Question Period.